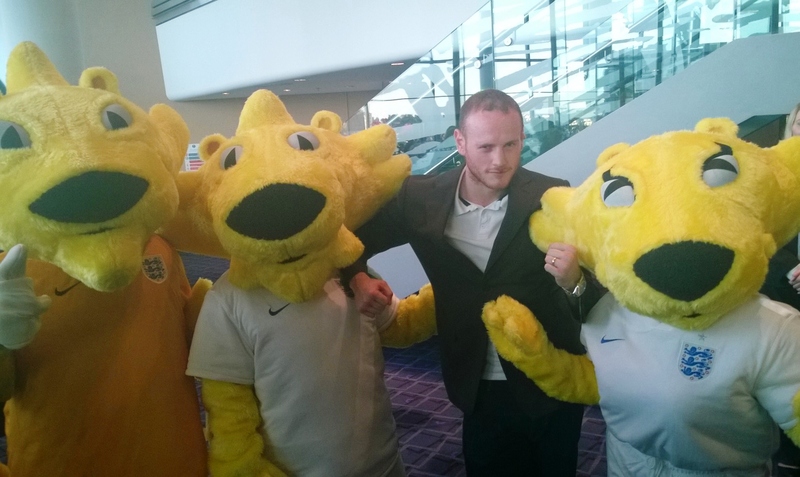 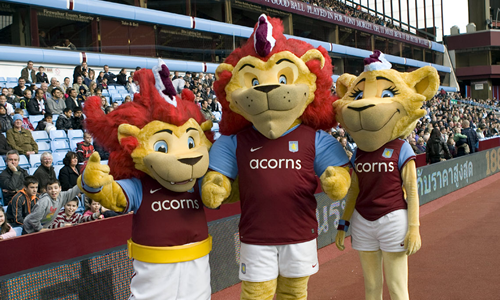 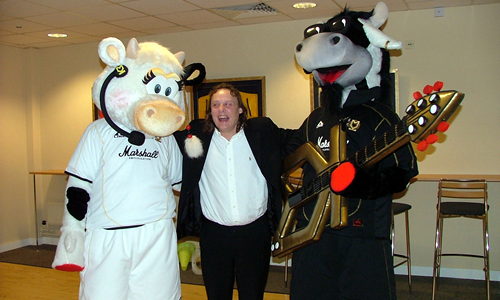 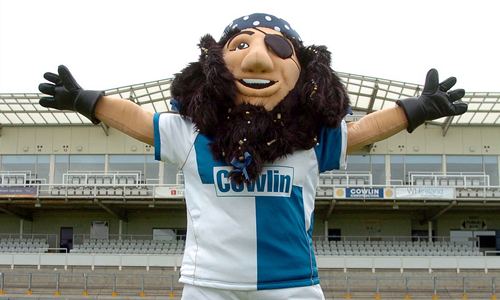 Rainbow Productions has worked on football mascot projects for a range of organisations, from grass roots and amateur clubs through to teams in the English Premiership, European football clubs and international tournaments. 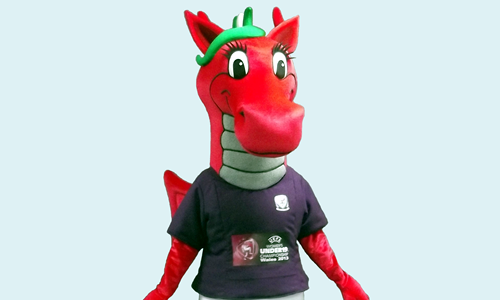 As well as manufacturing bespoke mascot costumes, we offer a mascot sketch-design service. 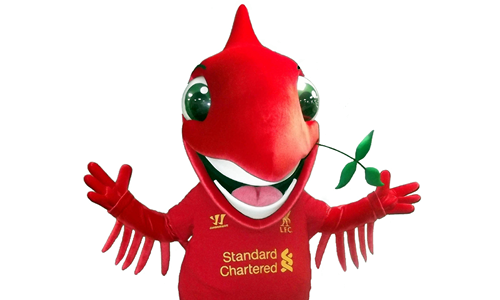 We can also provide practical advice at the design stage on which options under consideration might best translate into practical walk-about mascot costumes, based on our experience on other projects. 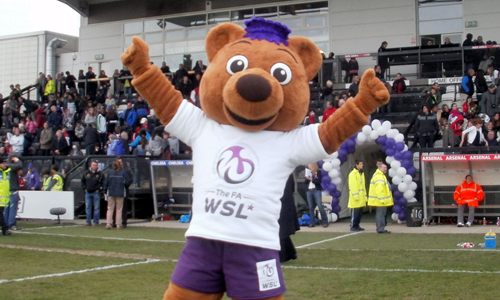 "Our latest mascot, Bolina the Lioness, is proving a roaring success with our Junior Lions' fans since her unveiling at a special Open Day at The Den, where she waved to fans and enjoyed posing for photos!" 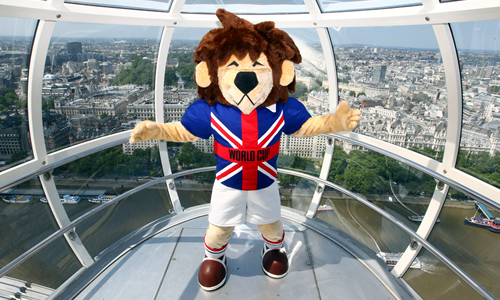 We work with a number of football tournaments, bringing to life the official mascots that go on to be seen by millions of fans in the UK, Europe and Worldwide. 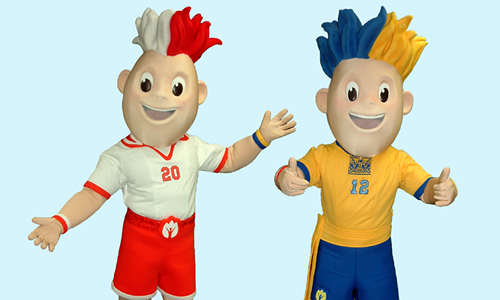 These mascots are also typically the focus for licensed product lines. 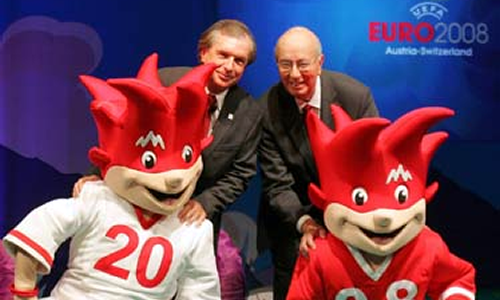 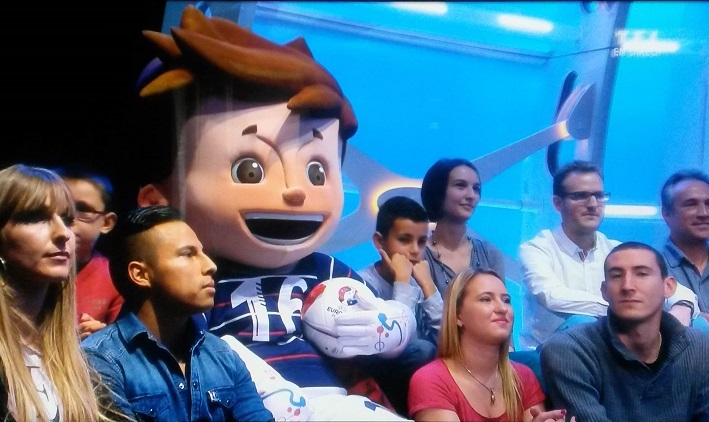 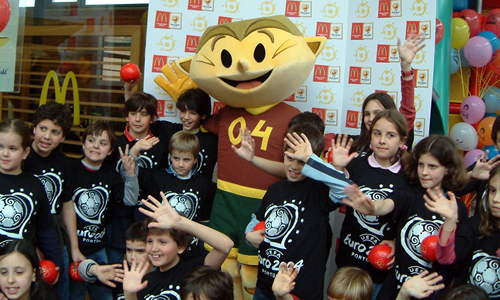 Since 1996, when Rainbow Productions manufactured mascot Goaliath, we’re privileged that UEFA has commissioned us to manufacture the mascot for every UEFA EURO tournament. 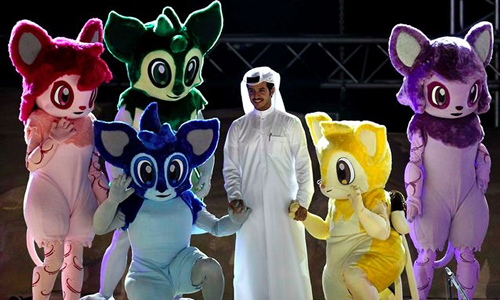 Below are examples of mascots we’ve created for football tournaments, including the UEFA EURO 2016 official mascot Super Victor and the mascots used at the AFC Asian Cup in Qatar. 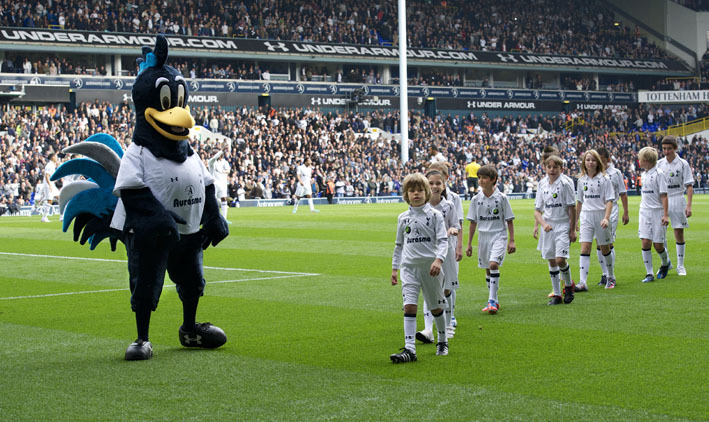 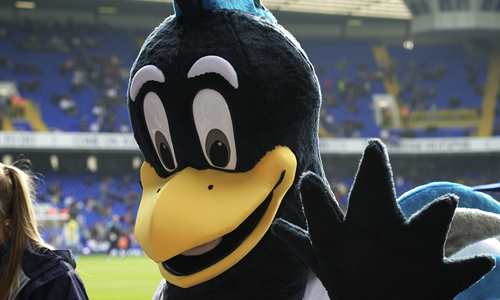 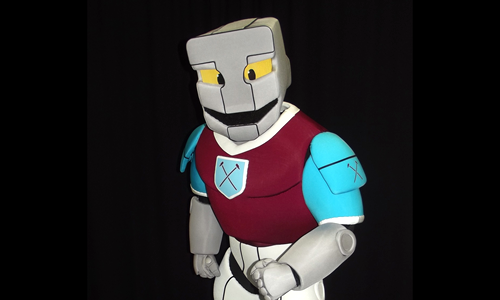 We work with Premier League football clubs to manufacture their team mascots, including Tottenham Hotspurs’ ‘Chirpy’, Liverpool’s ‘Mighty Red’ and Stoke City’s ‘Pottermus’ Hippo mascot. 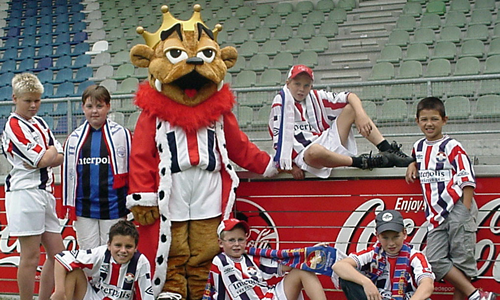 These over-sized team supporters can often be seen on the side line during home games, as well as mingling with fans inside family enclosures. 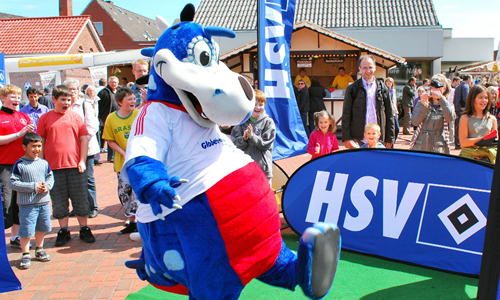 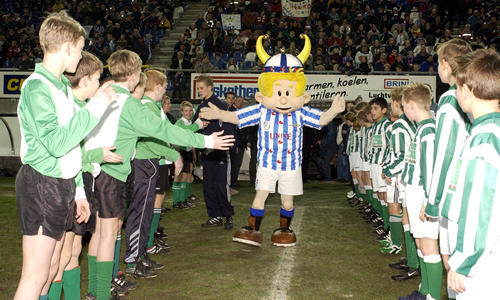 We manufacture football mascots for a range of teams across Europe, including football clubs in Spain, Germany, the Netherlands and across Scandinavia. 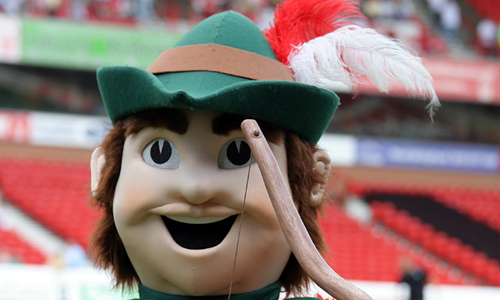 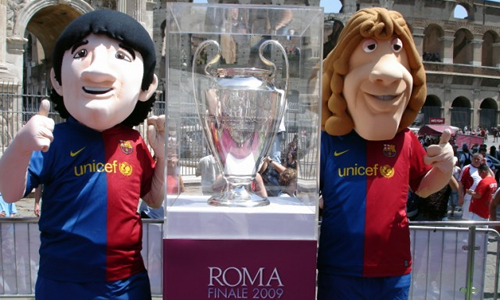 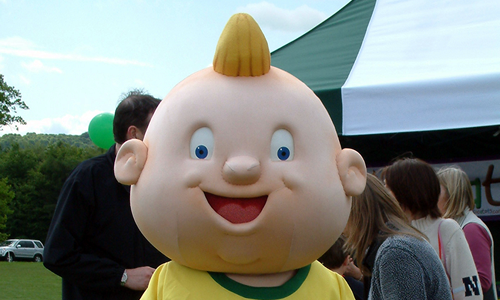 The designs of these mascots varies, ranging from club emblems brought to life as walkabout mascot costumes, through to those which are more caricature in style such as FC Barcelona’s mascots, below. 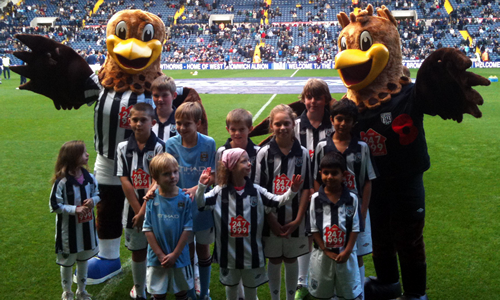 We also work with clubs in Championship Leagues 1 & 2. 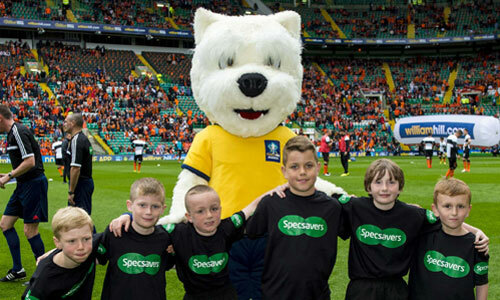 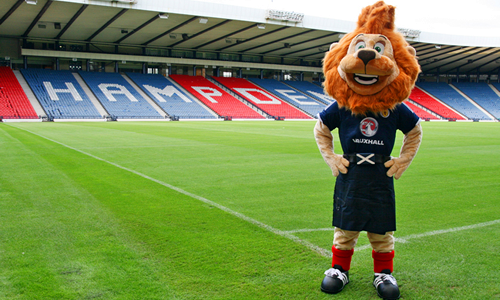 The Scottish Football Association and The Football Association have also commissioned Rainbow Productions to develop sports mascots for their national teams. 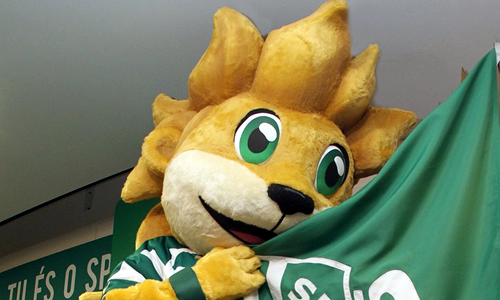 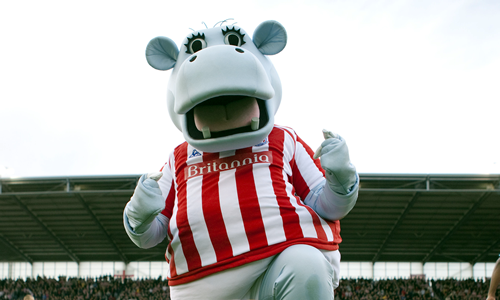 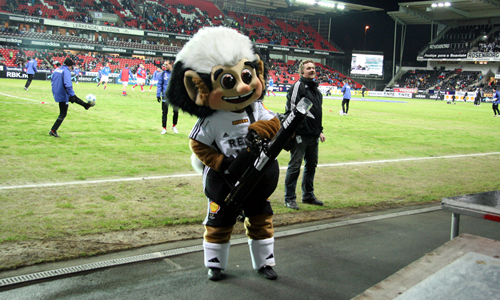 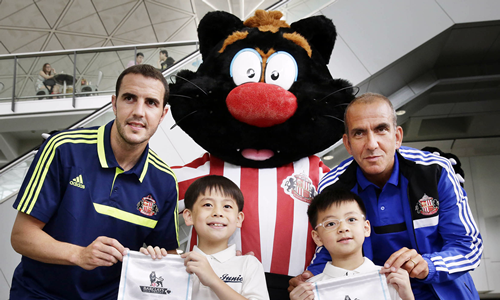 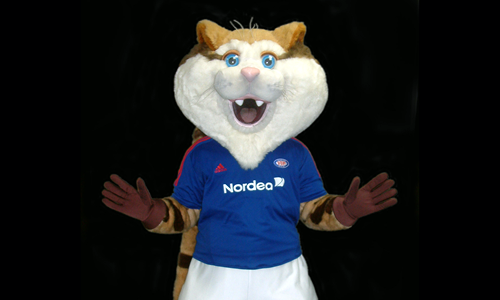 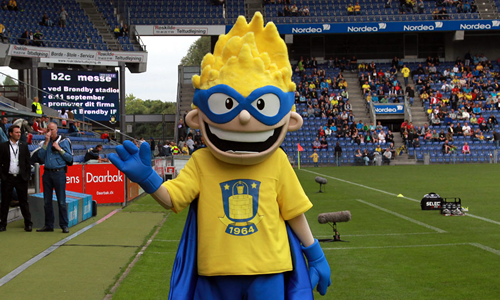 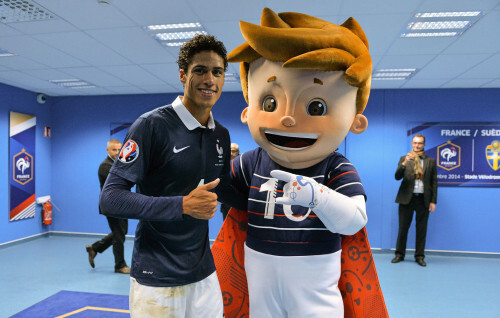 Football related organisations which are looking to reach younger audiences have also invested in a mascot; Socatots, below, is one example. 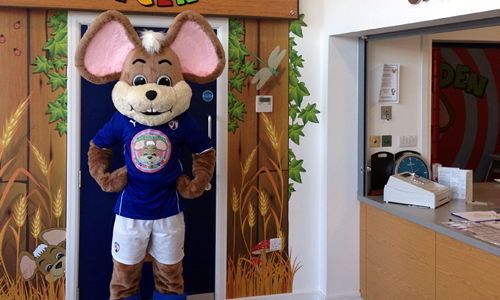 This organisation encourages activities for pre-school aged children.